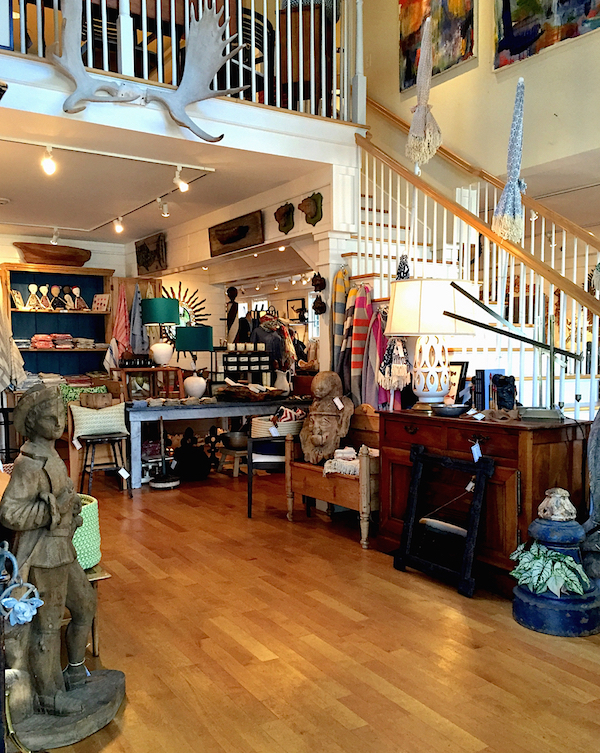 Shopping Nantucket offers a plethora of tempting picks and Atlantic, in their spacious new spot on Federal Street, should most definitely be on your list. 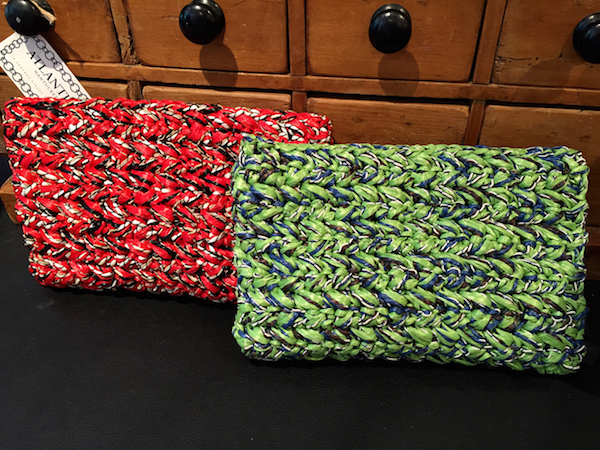 Longtime summer resident Colleen Darby Wurts originally started her business in a friend’s Sconset garage. After spending the winter picking choice antiques, she did three big summer weekends there and was a resounding success. She then took a small space downtown on Easy Street for two years, subsequently moving to the barn on Straight Wharf, where Scrub Oak is now, for five years, where she included a small edited women’s boutique on the second floor. When the Federal Street store in the center of town became available, it offered the perfect opportunity for Colleen to expand. 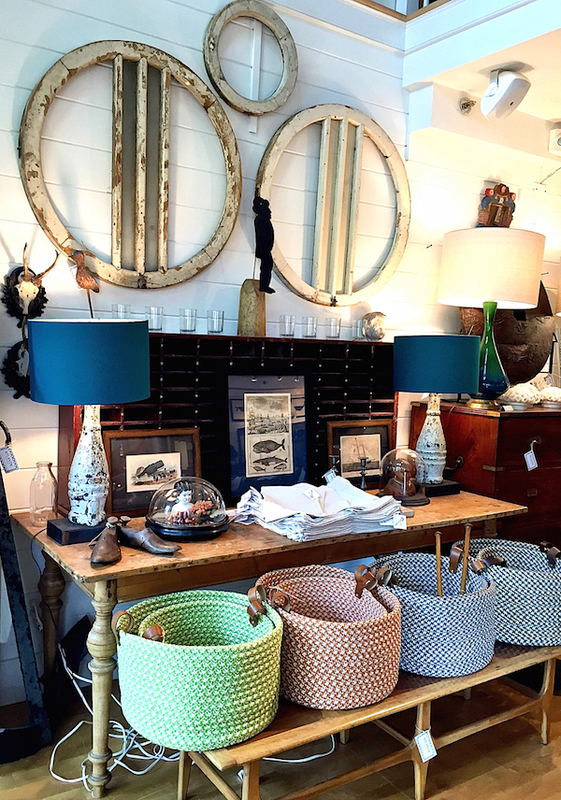 Here art, antiques, accessories, fashion and jewelry commingle effortlessly in an island friendly lifestyle environment. One of my favorite discoveries was the art of Alfred Ortega. 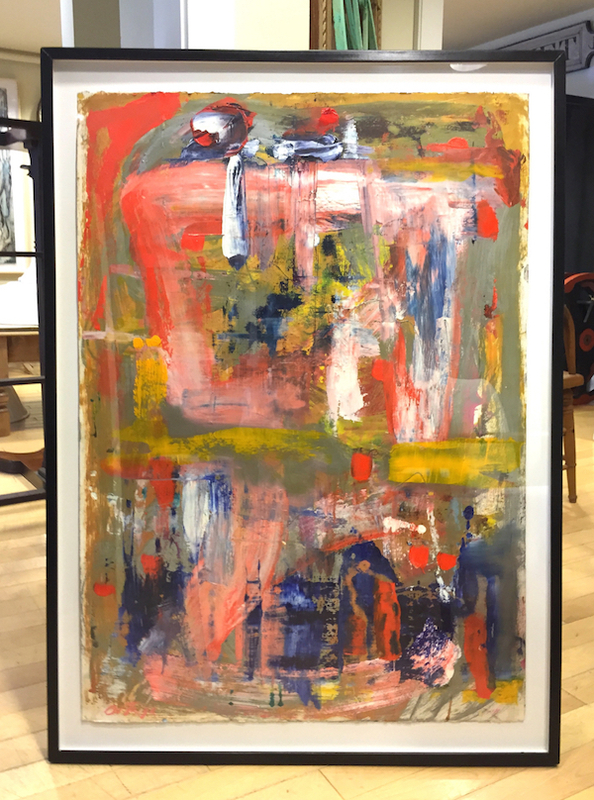 Trained at the Pennsylvania Academy of the Fine Arts, Ortega’s work exhibits a bold exuberance, often with saturated colors and dynamic movement. Every year Colleen goes through his body of work and selects those that resonate with her. 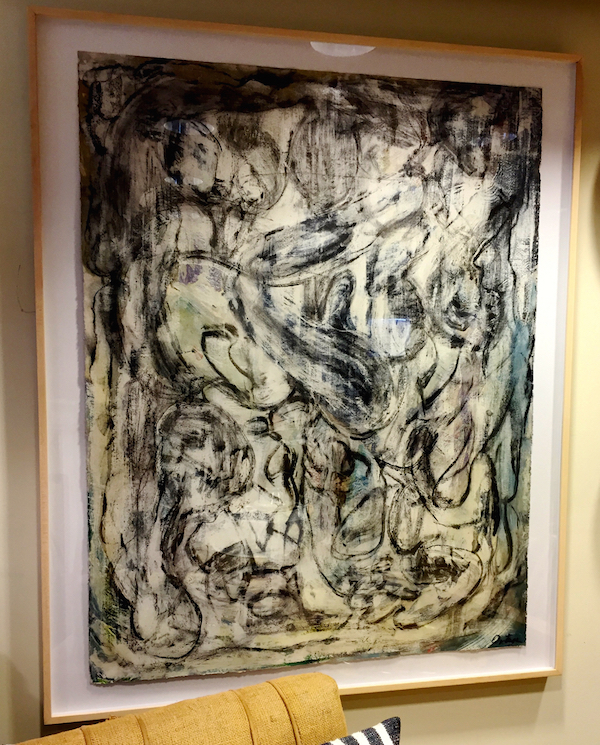 This figural study, already sold, had a vitality and life bursting through the more monochromatic coloration. 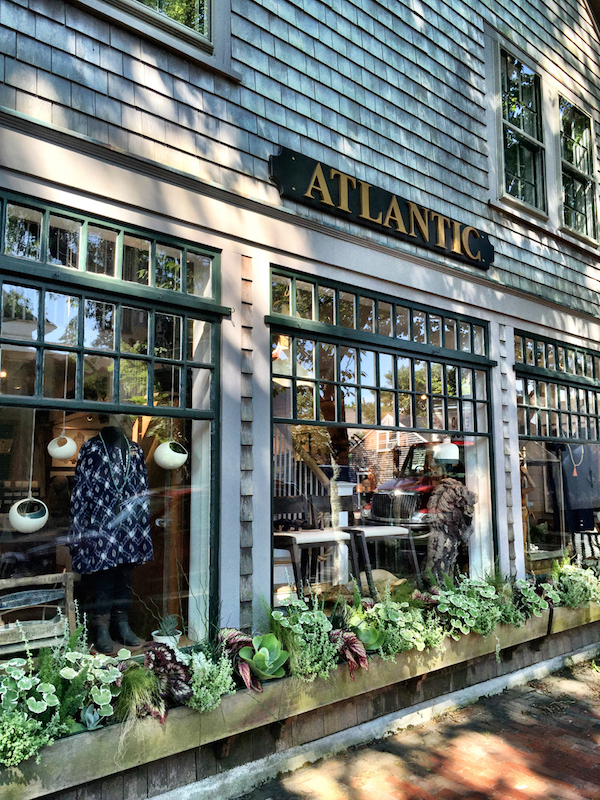 Like the best of Nantucket shops, Atlantic has a collection edited with an eye to artistry and craftsmanship. 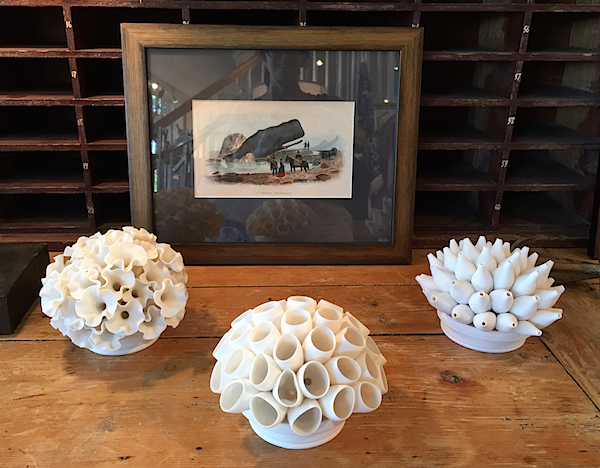 The beautiful porcelain tea lights by Lilach Lotan, a potter from British Columbia, are a wonderful example of functional art. With organic forms, expressed in a semi-matte white glaze, they look as lovely on display as when lit on a table. 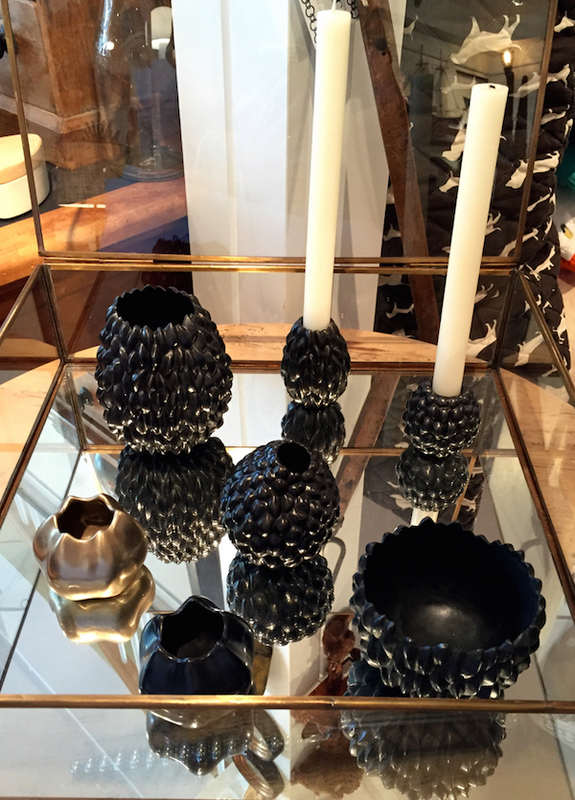 Besides their natural artistic beauty, Michelle Scholnick‘s sculptural bronzes can be used for a variety of functions. 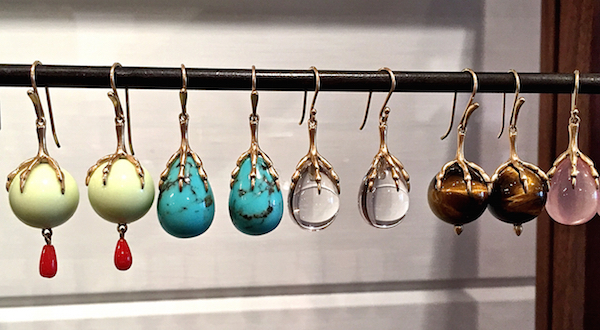 Their organic shapes and fine finishes are evocative of the artist’s jewelry collections. 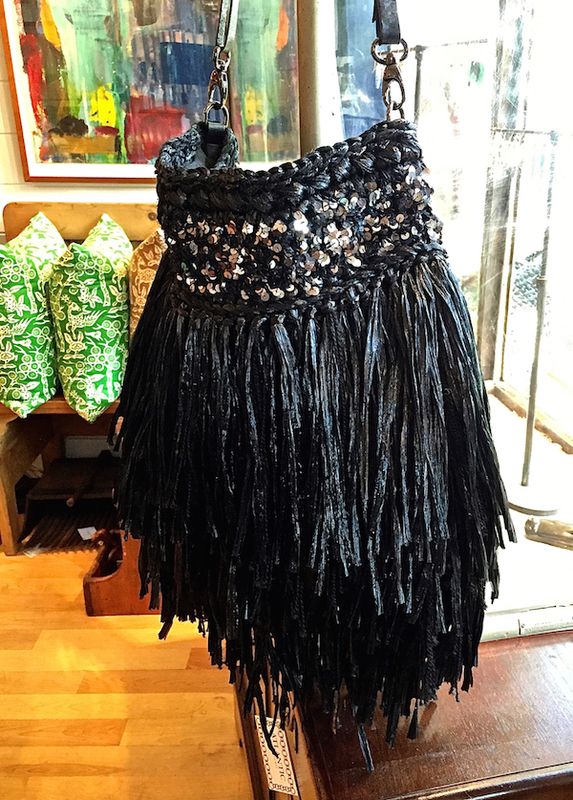 A wide ranging assortment of vintage items and antiques affirms Colleen’s eclectic and tasteful eye. and Kerry Cassill’s fun one of a kind beach umbrellas. 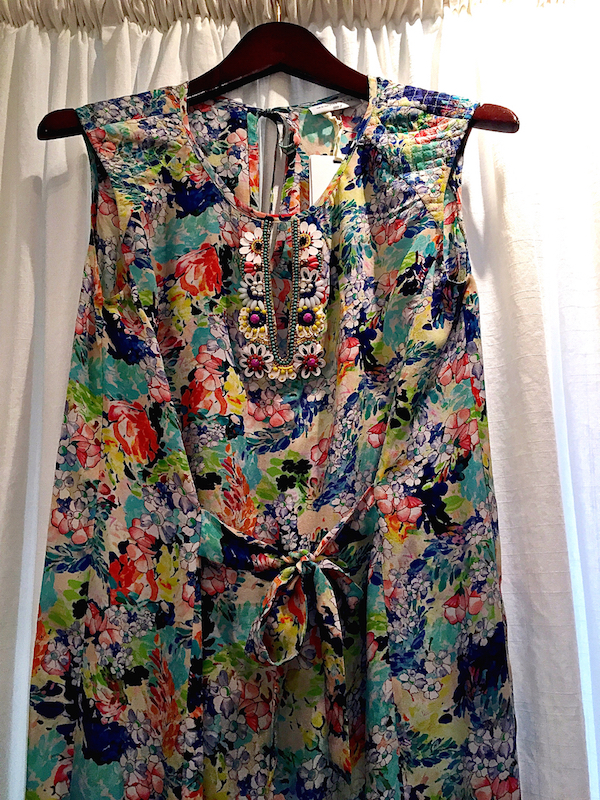 or gypset hobo with a little bling, they are covetable fashion statements. 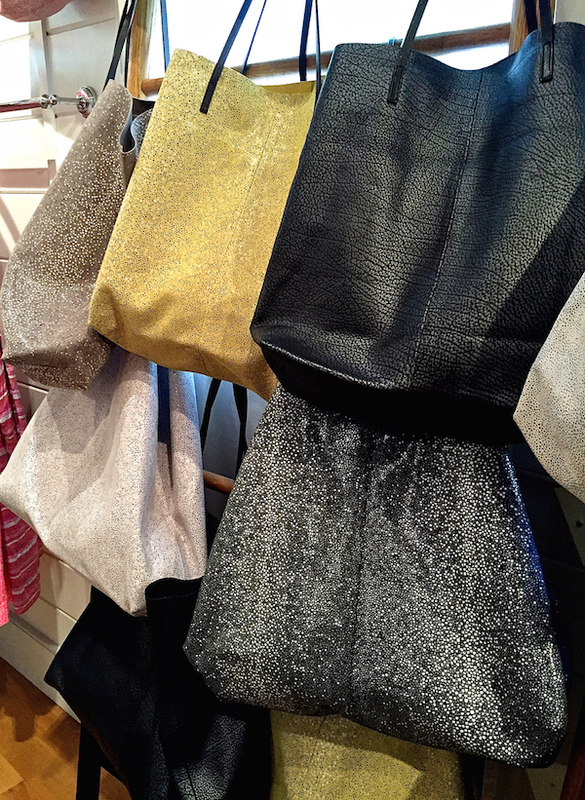 And for easy summer style, the Linde bags, designed in St. Barth’s and made in Paris of Italian leather, are hard to beat. In a kaleidoscope of textures and colors, Colleen has sold so many that they produced an Atlantic blue version this year. 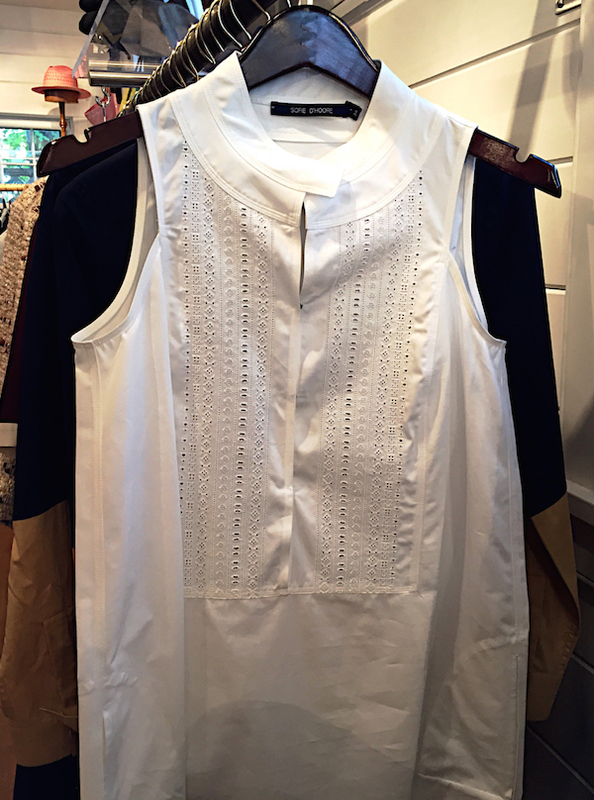 For clothing, Colleen carries a collection of small, idiosyncratic lines such as Australian Megan Park, whose artistic sensibility is a perfect fit. And this year she went to Paris and picked up several smaller lines which don’t show up in New York, that have proved very popular, such as Belgian Sofie D’Hoore, whose Jil Sander-like understated structured style has a detailed purist form. And lastly, there is of course jewelry. My favorite collection is probably from RISD grad Annette Ferdinandsen. Leaves, coral, feathers and birds are expressed in her delicate nature inspired pieces. I especially love her signature claw setting. 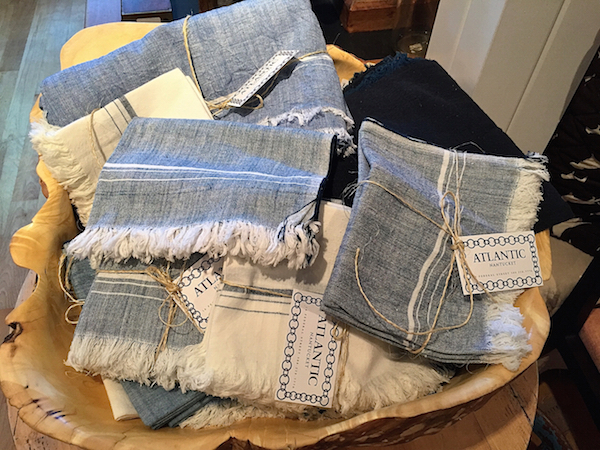 The atmosphere at Atlantic is a unified collage of products that define Colleen’s love of craftsmanship and authenticity. And there is that wonderful sense of discovery that you can find each time you visit. This entry posted in art, fashion, furniture, interior design, Nantucket, travel. 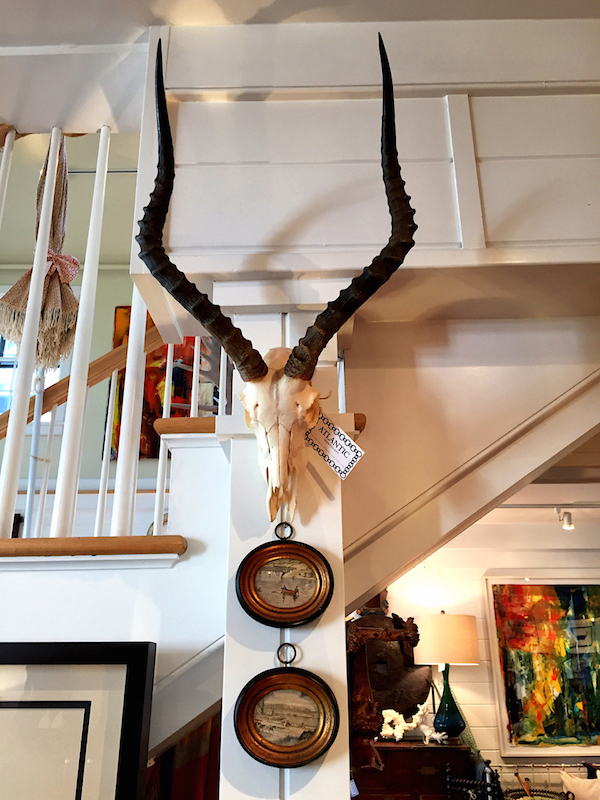 Entry Tags: antiques, fashion, interior design, Jewelry, Nantucket, Shopping, Travel Bookmark the permalink. How funny, Stacey. Grant and I wandered in there just this week and loved the mix of art, objets and fashion. 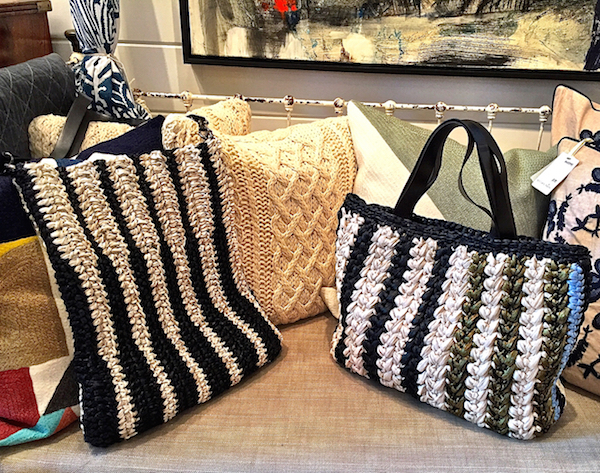 I loved that black bag, as I have made by that very designer – found in Dallas. 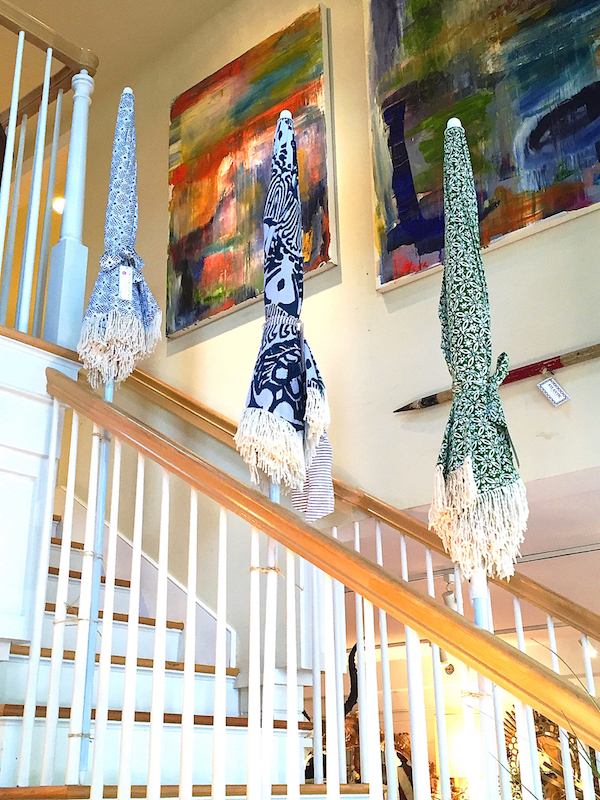 Great find and definitely a shop to peruse in Nantucket! Stacey all of her finds are so artful and unique. Thank you for sharing this experience. Stacey, this is another lovely post, with thanks. May I humbly offer a suggestion for a future post that’s in a completely different direction? I’ve never suggested a post subject to a blogger before but here goes. The set locations for the current TV mini series ‘Jonathan Strange and Mr. Norrell’ are unbelievably rich and varied. I subscribe to several (aka a LOT of )design blogs but haven’t found anyone who has taken a closer look at the scrumptious interiors which surprises me . If you haven’t seen the show, take a look. Trust me, you’ll be hitting the Pause button multiple times just to drool over some of the set locations. So much to love here! 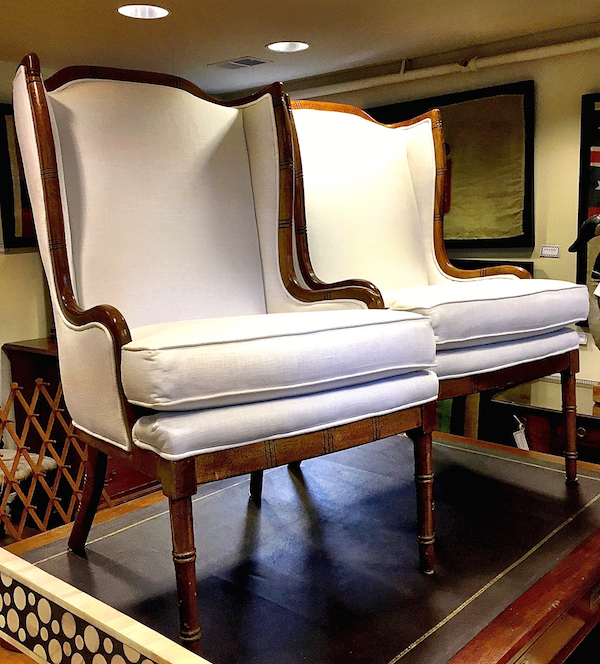 That pair of wingback chairs has me imagining a night by the fire in a seaside cottage and I have to say I would love a pair of Annette Ferdinandsen’s clawfoot earrings – those are fabulous! Love “made by branch” (Michelle Scholnick) amazing functional bronze objects. 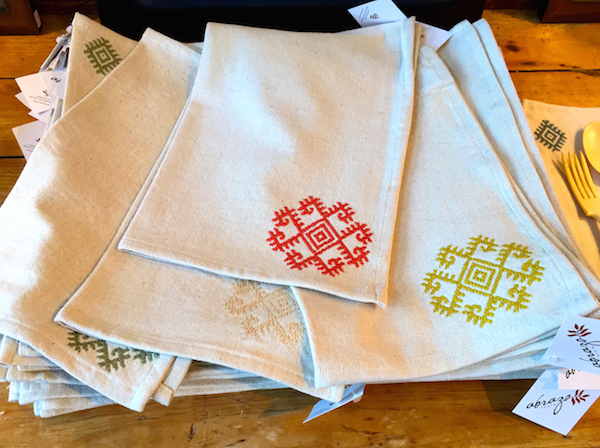 For those of you stuck in Fairfield County these are available @ Axel Interiors in Norwalk! Is it possible to have the email address of the shop?